Folded card for Land Scape, a group show at Vrej Baghoomian Inc, 1989. Participating artists included Edward Avedisian, Richard Avedon, David Bowes, Frencesco Clemente, Ed Ruscha and others. 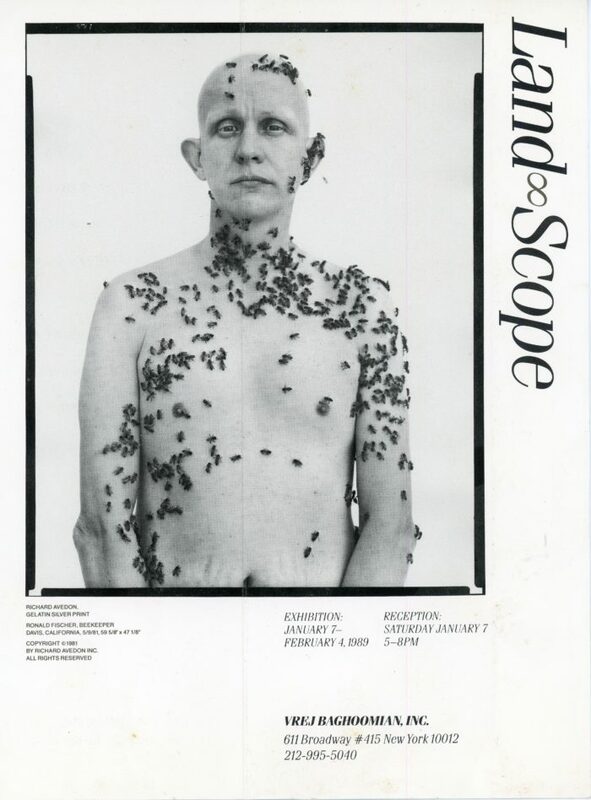 Inside of card features Avedon’s Ronald Fischer, Beekeeper, 1981.